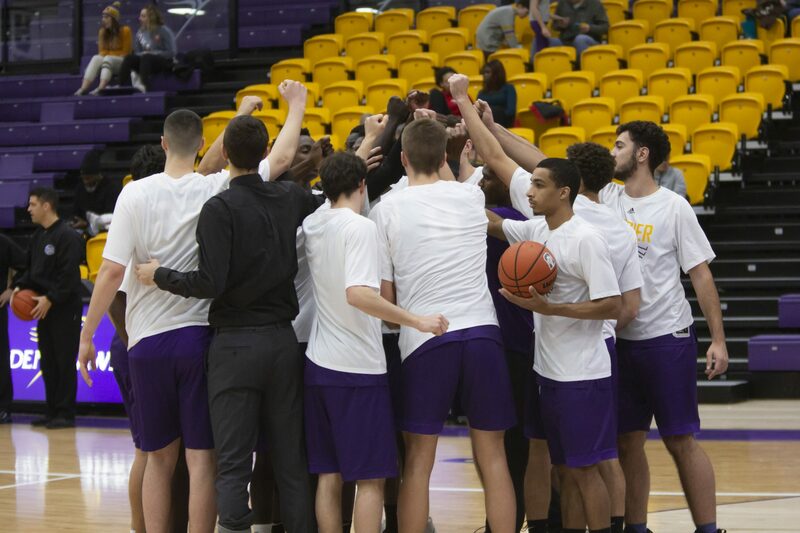 Last week, Laurier’s men’s basketball team was ranked No. 9 in the U SPORTS Top 10, ending a six-year dry streak. The last time the team earned a ranked spot was in February of the 2011-2012 season at No. 10 but were previously ranked No. 5 in the same season. This was Laurier’s highest ranking ever. According to head coach Justin Serresse, achieving the ranking this early comes as a surprise and suspected that if the games this past weekend were to go well then, the ranking would come. After winning both their games this weekend against the Laurentian Voyageurs and Nipissing Lakers, this gives the Hawks their fourth straight victory. “We are very happy about it and you know we are proud of the fact that we were able to make it for the first time in six years and my first time as a head coach with only two and a half years on the job”, said Serresse. He claims he knew that the team has been playing well. However, he did not think they were quite there yet to claim a top ten spot. “We always strive to be able to be one of the best teams in the country. That’s what you know we work for,” said Serresse. The men’s basketball program has been in a state of rebuilding since Serresse was hired as head coach. This includes working on the overall team culture and style of play. The Hawks won 84-78 on Friday against Laurentian. On Saturday, they won 108-103 against Nipissing with fans and the team on the edge of their seats as they managed to overcome a seven-point deficit within the last 39 seconds in overtime. This type of redevelopment takes time for adjustment, which may indicate why Laurier is finally seeing the team rise again this year. With more incoming recruits that have been named rookie of the year and all-star players, there is an attempt to create a program that will be nationally ranked in the near future. Serresse has commented on the current strength within the assistant coaching and the dedication to the team shown by both staff and players. Serresse also mentioned as to why Laurier might not have been consistently ranked. “We are still a very small school … I think there is a difference between us and Carleton, for example, or Ryerson: all those teams that invest a little bit more in basketball. I think we’re slowly seeing this school investing in us a little bit more and I think that’s only going to help us recruit top players,” said Serresse. He placed importance on having a well-rounded program full of support staff for the players, including supervision and support in academics, mental health, physical health, well-being and player development and proper training outside from just direct drill practices. This all gives “a little bit more of a professional approach and makes their life easier,” said Serresse. Having these supports in place will not only attract players but give them the greatest confidence knowing that they will be taken care of and will be successful within university if they come to play for Laurier. “We’re trying to build something bigger than just putting the basketball in the net, it’s a way of living, a way of doing things that’s going to create that culture that people are going to be attracted to and I think that’s the key for us to sustain that top 10 program,” said Serresse. With the top 10 ranking, there is hope for more of the Laurier community to attend games and to cheer on the Golden Hawks. With a young and exciting team, the student population can be entertained and have fun while watching from the stands. Ali Sow, guard, broke the modern scoring record with 44 points, assisting greatly in the Hawks’ win. Laurier now has an overall record of 7-3 on the season. Their next regular season game will take place in the new year on our home court against McMaster on Jan. 4.